Canadian astronaut David Saint-Jacques at work outside the International Space Station. Image: NASA TV. NASA’s Anne McClain and Canadian astronaut David Saint-Jacques exit the space station airlock to begin their spacewalk. Image: NASA TV. 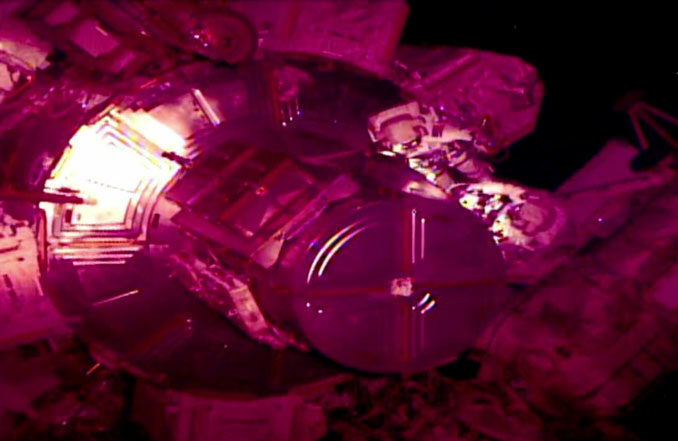 During the second spacewalk March 29, Hague and Koch helped with the installation of another three li-ion batteries. But during testing after the first EVA, engineers ran into problems with one of the initially installed li-ion batteries and an electronics component called a battery charge-discharge unit, or BCDU. 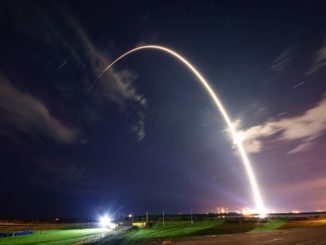 After attempts to correct the problems failed, NASA managers opted to remove the faulty battery and replace it with two of the recently removed nickel-hydrogen batteries. They also decided to replace the BCDU with a spare. Using the station’s robot arm, flight controllers removed the suspect battery and the BCDU and then re-installed one of the recently removed nickel-hydrogen batteries. They also robotically replaced the failed BCDU. With that work out of the way, McClain and Saint-Jacques removed an adapter plate that was installed during the first spacewalk to make room for the installation of a second nickel-hydrogen battery. 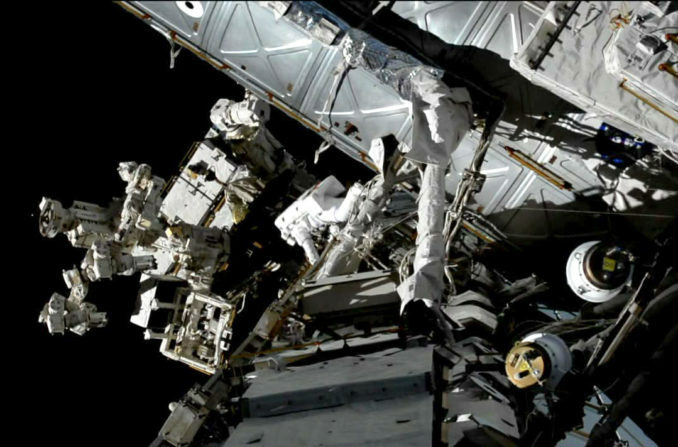 After the spacewalk, flight controllers will use the robot arm to re-install the second nickel-hydrogen battery, restoring power channel 4A to its normal output. 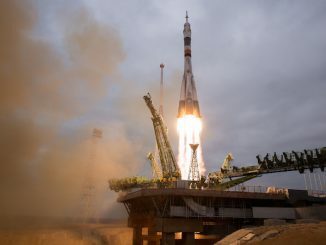 Kenny Todd, space station operations and integration manager, said the faulty lithium-ion battery will be discarded while the BCDU will be returned to Earth for inspections to find out what went wrong. A new lithium-ion battery will be flown up to the station on a future cargo flight and eventually installed in place of the two older batteries. With the adapter plate move out of the way, McClain and Saint-Jacques pressed ahead with work to connect ethernet cabling at the forward end of the station’s Destiny laboratory module that will extend wireless connectivity for science instruments mounted outside the station. A cable run out to the right side of the station’s solar power truss was deferred to make time for the adapter plate relocation. 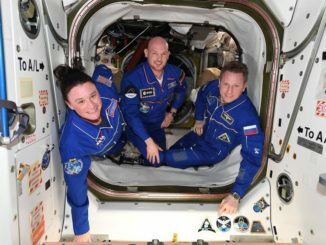 The final major task on the crew’s agenda Monday was to run power lines from the central Unity module to the central S0 segment of the power truss to provide a backup power source for the lab’s robot arm. While the arm already has redundant power sources, the cables installed by McClain and Saint-Jacques will allow the arm to continue operating even if one of those other power supplies fails. Saint-Jacques also worked at the forward end of the station where4 the European Space Agency’s Columbus laboratory module is attached to install fittings needed for the eventual addition of a commercial payloads platform that will be used to hold a variety of remotely operated science instruments. He successfully installed a secondary attachment fitting, but was unable to mount the primary unit because of unexpected interference issues. He took documentary photographs to help engineers better understand the issue before an additional attempt is made on a future spacewalk.